Now I would never even think that quote! Yes, I still use my iPad to consume plenty but I also use my iPad to do things my laptop used to take care of for me. In fact there are activities I don’t even consider touching my laptop for anymore! One area that I don’t have time to explore very often during the school year is creating music on my iPad. It seems with all the day to day activities of teaching that I totally loose touch with musical explorations and composing. I’ve been taking more time lately to do this and I am floored at what I can do with an iPad and a few apps. I am not going to give you a history lesson here but I will say that at one time in my career I dreamed of creating a wonderful MIDI lab outfitted with computers, keyboards, speakers and mixers for my students to use. That dream never happened because of the crazy cost involved. My dream has been reshaped. Here is what I’ve found…. You have to have a multi-track recording app to start with in order to really have fun here. There are plenty of apps out there – the most obvious one is of GarageBand for the iPad, then the list goes on from there. On the cheaper end of things there is MultiTrack DAW from HarmonicDog, Meteor MultiTrack Recorder from 4 Pockets Audio, Music Studio from Xewton, and NanoStudio from Blip Interactive. If you really want to get serious then there are a couple of big players (read as expensive for one thing!) 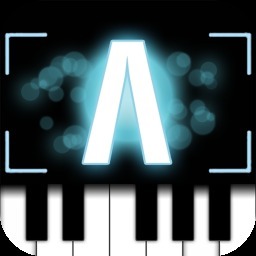 – Cubasis by Steinberg and Auria App by WaveMachine Labs. 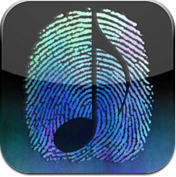 1st Block – All of these apps will allow you to record multiple tracks of audio. You play, it records – simple! 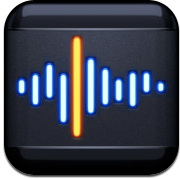 In fact, Auria was one of those apps that blew everyone away when it was first publicized because many could not fathom the iPad being able to record 48 tracks of digital audio! We all held our breath hoping this dream would come true and it finally did come true. It works very, very well too! Many of these above apps will also allow you to use the synths built into the app in order to record multiple tracks alongside the audio (MultiTrackDAW and Auria strictly audio apps, no synths or drum machines built-in). You should be familiar with GarageBand, these other apps are much the same idea. Drums, Keyboards, Flutes, Bass, Synth… you name it they are all there! 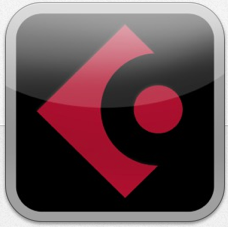 AudioBus is what brings apps together! Many of the above apps have synths and drum machines available along with the ability to record audio or MIDI but the real fun comes in when you can also take other stand alone apps and use them as inputs for the DAW (Digital Audio Workstation). Again, AudioBus was one of those apps that people could not believe would work when the press releases first came out. We held our breath and prayed that AudioBus would actually do what was being promised. I’m so glad to be able to say that it works wonderfully! In fact it works so well that Apple made and unprecedented move and built support for it into GarageBand. Apple doesn’t support 3rd party apps on a whim! So if AudioBus is what brings our Apps together than why would we even need this capability? Well this brings us to the 3rd Block…. I use the word Instrument loosely here because I am talking about a wide variety of apps here. Synths, Drum Machines, Guitar simulators, Vocal apps, Looping apps, Arpeggiators, DJ Turntables apps and Sampling apps to name a few! 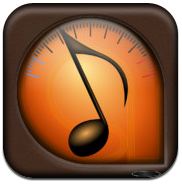 Even apps that Band and Choir Directors should be using in rehearsals like AnyTune Pro+ from AnyStone Technologies and TonalEnergy Tuner from Sonosaurus – If you are a music teacher in anyway shape or form you really need those two apps by the way! There are some $5, $10, $15 and $20 apps out there that are the equivalent of my Roland X8 keyboard that I payed $2,500 for! This past couple of weeks has seen some outstanding apps released that have really raised the bar for what is possible on an iPad. Thor is one and the other is Nave. If you have not seen these two apps and watched some of the videos about what they are capable of you need to YouTube them, check out the companies websites and the tutorials listed there. Here are some of the other outstanding apps that I use and enjoy. One of the reasons I find these sort of apps so outstanding and fun is that they offer me ways to manipulate the music/sound that I have never had before. They also make working with different scales fun and easy! 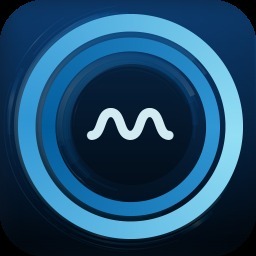 There are new ways to interface with the music too – no longer am I tied to a traditional keyboard! Impactor for instance lets me tap on my desk and have it turn into drum sounds! 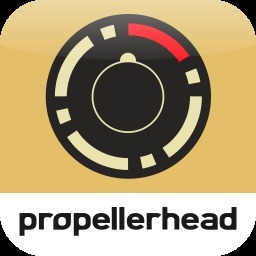 So with your multitrack app of your choice (I would start with GarageBand) and AudioBus and one of the Input apps (I would start with ThumbJam or AniMoog) get your creative hat on and start playing around! I would just start messing around with the different interfaces, like the smart instruments in GarageBand, until you found something “cool”. Use that as a starting block, record something! Then start adding to that until you have a song! One of the reasons I like Thor and Cubasis is that they also have desktop versions of their apps. That means you can start a project on your iPad and move to your regular computer later to finish it, change it and even transfer it back to your iPad! Versatility is wonderful. I have had some issues with Cubasis – for it being the price that it is I don’t really expect to have issues like these. One of those issues showed up tonight for the first time ever – My melody line recording got moved ahead one measure in the mix down! It was only the last 3rd of the song that got moved ahead like that, very weird. The other issue I was having was that the app would crash when I would try using it with an external audio interface (an Griffin iMic). That is not listed on their web site as an interface that is actually supported so I cannot blame them BUT that interface worked just fine with Harmonic Dogs’ MultiTrack DAW! With that being said…. I am very glad I spent the money on Cubasis and have NOT asked for a refund! One last warning – on my iPad2 the processor is taxed to it’s limits doing this stuff! 90% of the time it works fine. There are times though, with Nave especially, that the audio just stutters and I have to choose a different sound to use. When recording audio like this I wholeheartedly believe that you actually need to use the force quite function on your iPad! Quite every single app in your dock, in fact after doing that, re-boot your iPad! I never ever use the force quite capability any other time… go google it if you don’t believe me that it really is not neccesary usually. Next SymphonyPro has been brought back to life! Can’t cover everything in one post! Not sure I’d call all that a PAST history. Most of what I discussed has come about in this past two weeks to six months!